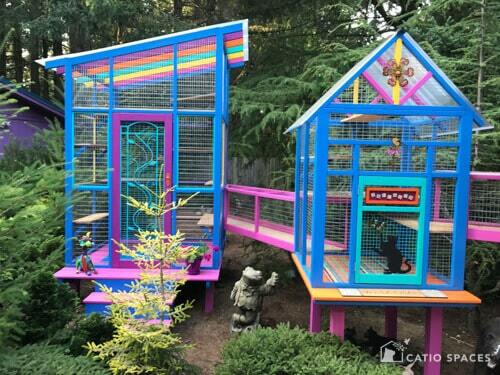 WATCH VIDEO: The Colorful Catio Menagerie (3 min.) Also see “Behind the Scenes” video too! 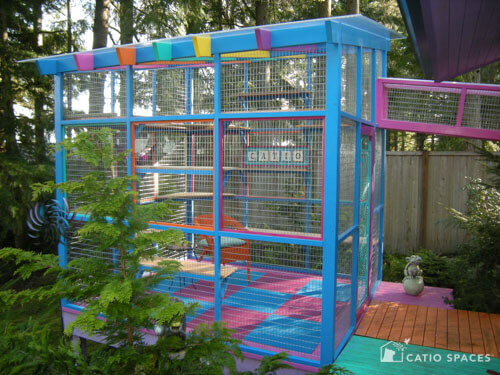 This colorful catio project was designed and built by Catio Spaces. 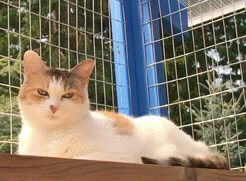 Lounging on the top shelves of the large catio in the front yard. Whenever the weather is sunny and warm…a sun worshipper! 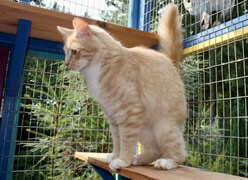 Loves following the sun from one catio to the next and watching all the outdoor fun. Most of the day, especially when the sun is shining. Favorite spot in the catios: Anywhere! Loves chasing Ghost through the tunnels. Favorite spot in the catios: Anywhere! Loves the cat tunnel, bird watching, chasing bugs and hanging with his buddy Emmett. 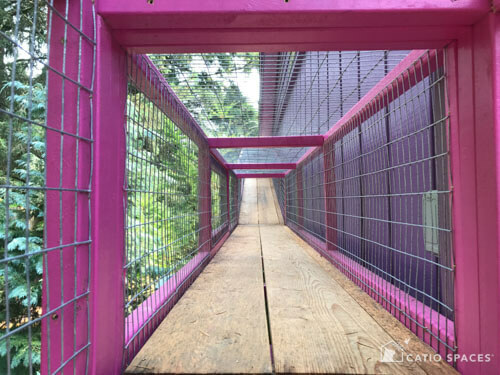 WATCH VIDEO: “Behind the Scenes” footage of building the catios. 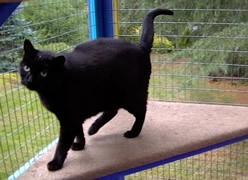 endless hours of fun for the lucky catio cats! 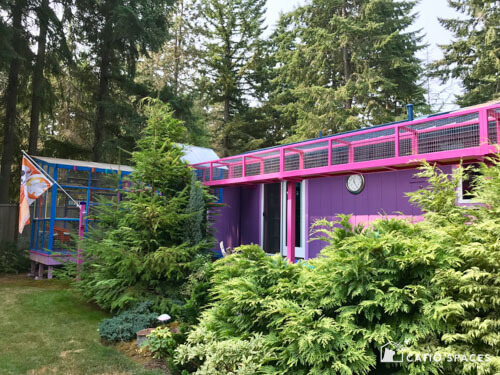 DOES YOUR INDOOR CAT WANT OUT? 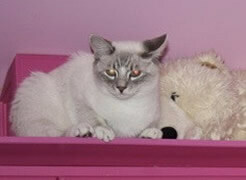 DO YOU WORRY ABOUT YOUR OUTDOOR CAT’S SAFETY? 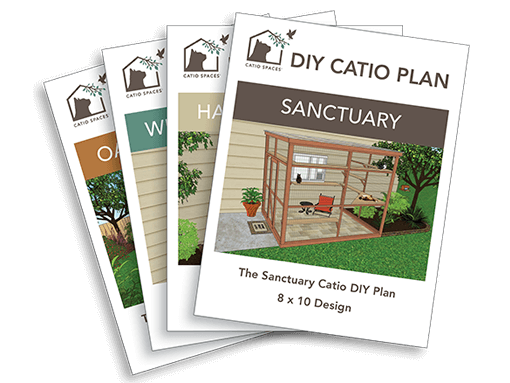 Check out our free catio tips, DIY Catio Plans and custom catios to create a catio you and your felines will enjoy!